I found this on Pinterest (here) it looks like fun. 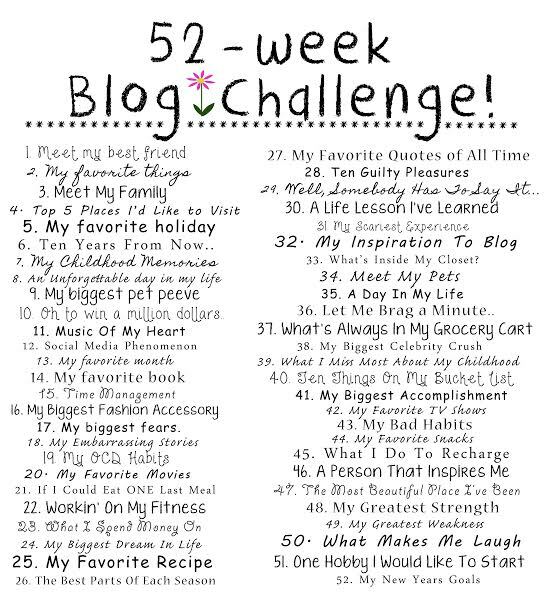 I'm always looking for new blog related challenges and this has a great list of options. I figure since it's once a week I'll do on the same day of the week kind of like a weekly meme for the year. I'm also going to share on Instagram since I think most of them will require a picture of two and don't forget to follow me (here).